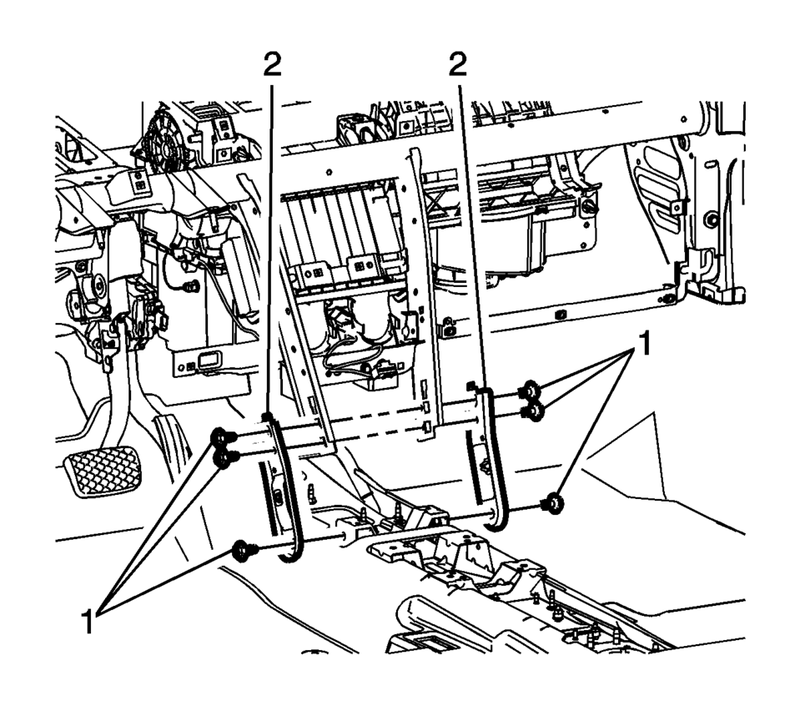 Unsnap the instrument panel fuse block?€‰(1) from the instrument panel tie bar assembly and position out of the way. Remove the push-pin fastener?€‰(1) securing the left floor air outlet duct?€‰(2) to the instrument panel tie bar assembly. 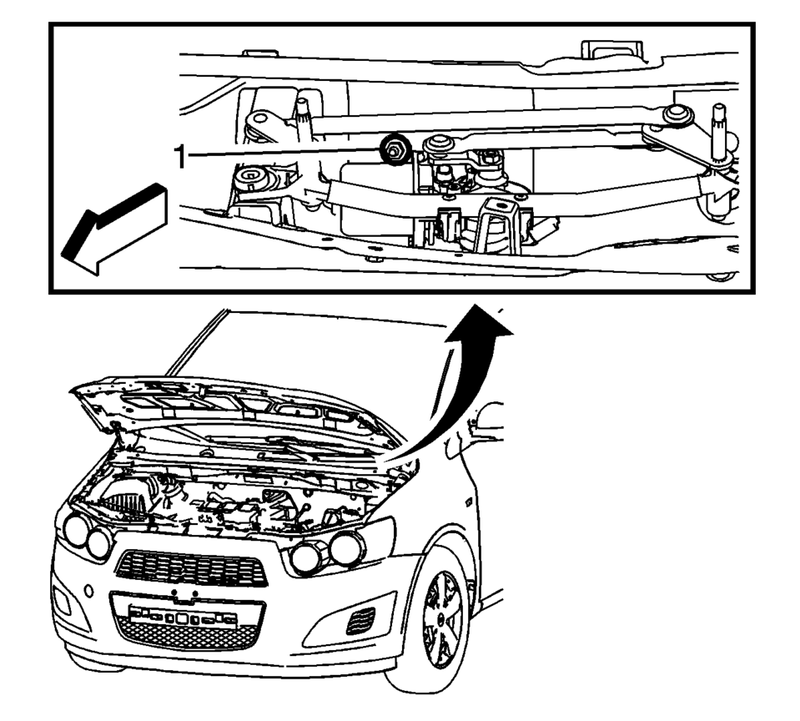 Remove the left floor air outlet duct?€‰(2) from the vehicle. Remove the nut?€‰(1) securing the instrument panel tie bar assembly to the cowl panel. Remove the bolts?€‰(1) securing the instrument panel tie bar assembly to the brake pedal bracket. Remove the brake pedal release bracket bolts?€‰(1) securing the instrument panel tie bar to the brake pedal mounting bracket. Remove the bolts?€‰(1) securing the right and left instrument panel tie bar lower support brackets?€‰(2) to the front floor tunnel panel. Remove the fasteners?€‰(1) securing the instrument panel tie bar assembly to the HVAC module. 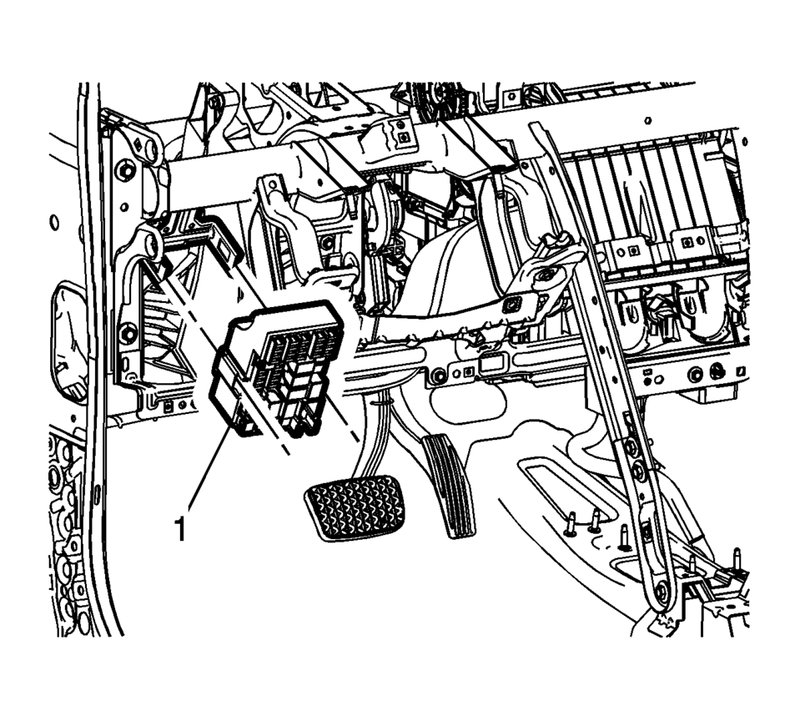 Remove the bolts?€‰(1) securing the instrument panel tie bar assembly to the vehicle body. Loosely install the bolts?€‰(1) securing the instrument panel tie bar assembly to the vehicle body. Loosely install the fasteners?€‰(1) securing the instrument panel tie bar assembly to the HVAC module. Loosely install the bolts?€‰(1) securing the right and left instrument panel tie bar lower support brackets?€‰(2) to the front floor tunnel panel. Loosely install the brake pedal release bracket bolts?€‰(1) securing the instrument panel tie bar to the brake pedal mounting bracket. Loosely install the bolts?€‰(1) securing the instrument panel tie bar assembly to the brake pedal bracket. Loosely install the nut?€‰(1) securing the instrument panel tie bar assembly to the cowl panel. 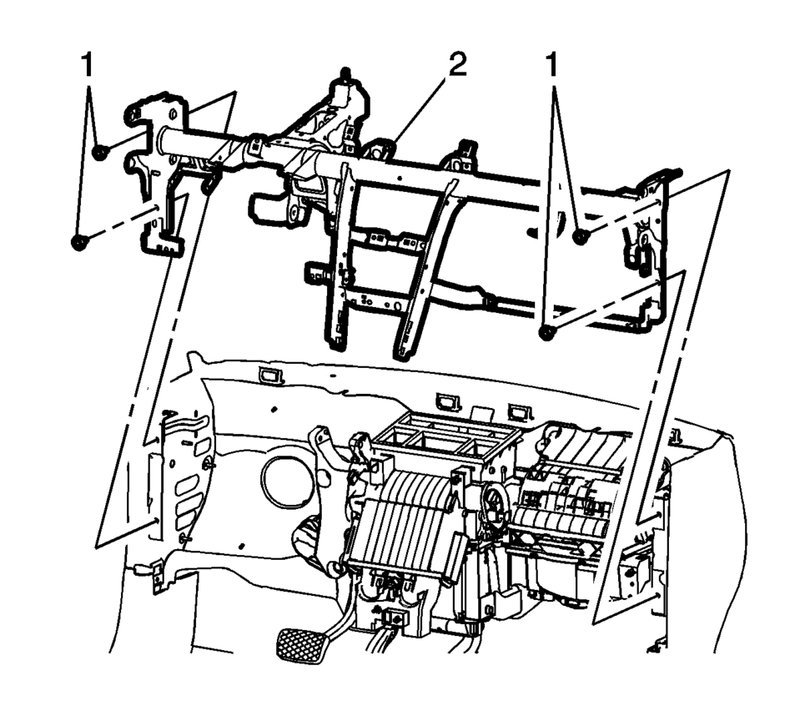 Tighten the instrument panel tie bar to vehicle body bolts to 22Y?€‰(16?€‰lb?€‰ft). 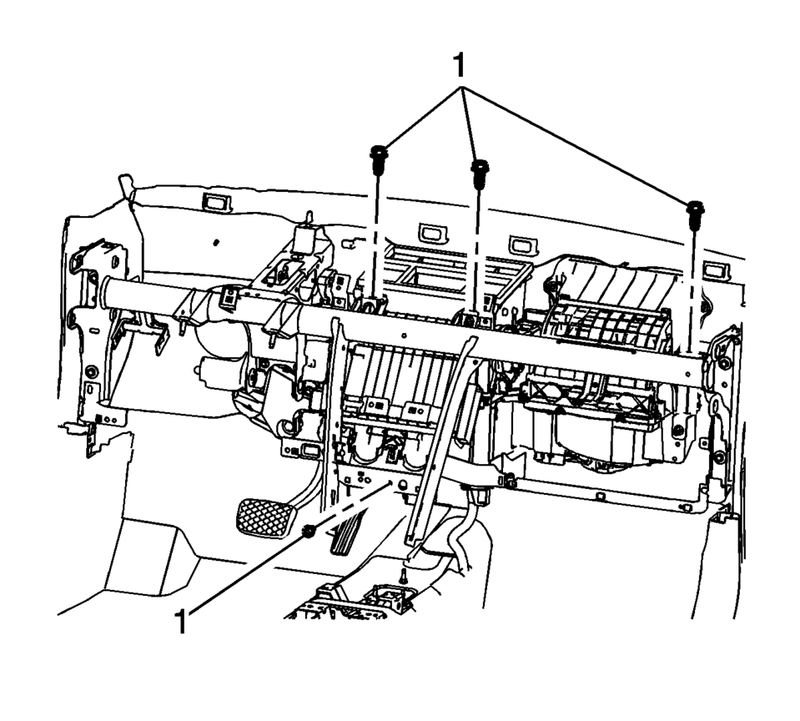 Tighten the instrument panel tie bar to HVAC module fasteners to 9Y?€‰(80?€‰lb?€‰in). Tighten the instrument panel tie bar lower support bracket to front floor tunnel panel bolts to 22Y?€‰(16?€‰lb?€‰ft). 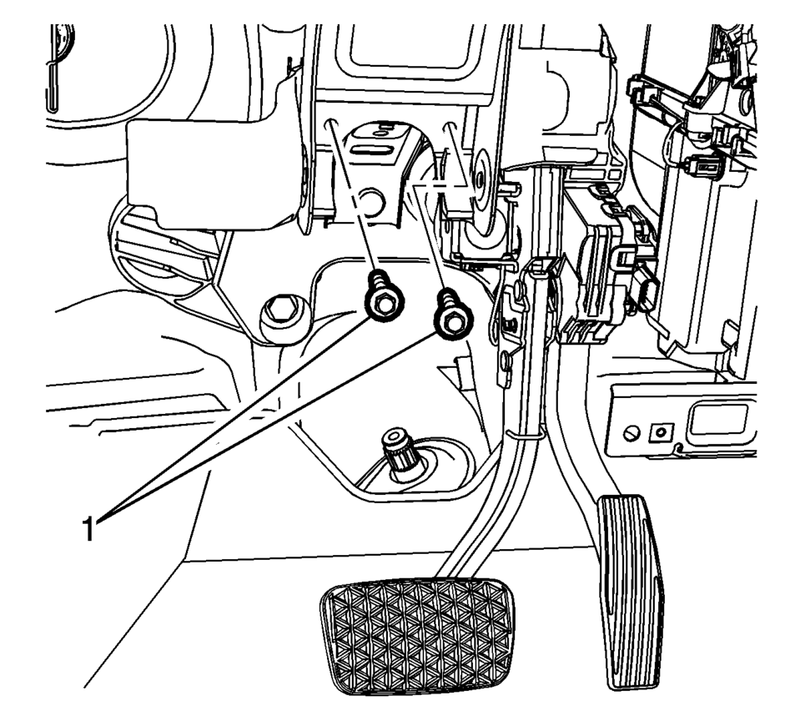 Tighten the instrument panel tie bar to the brake pedal release bracket bolt to 22Y?€‰(16?€‰lb?€‰ft). 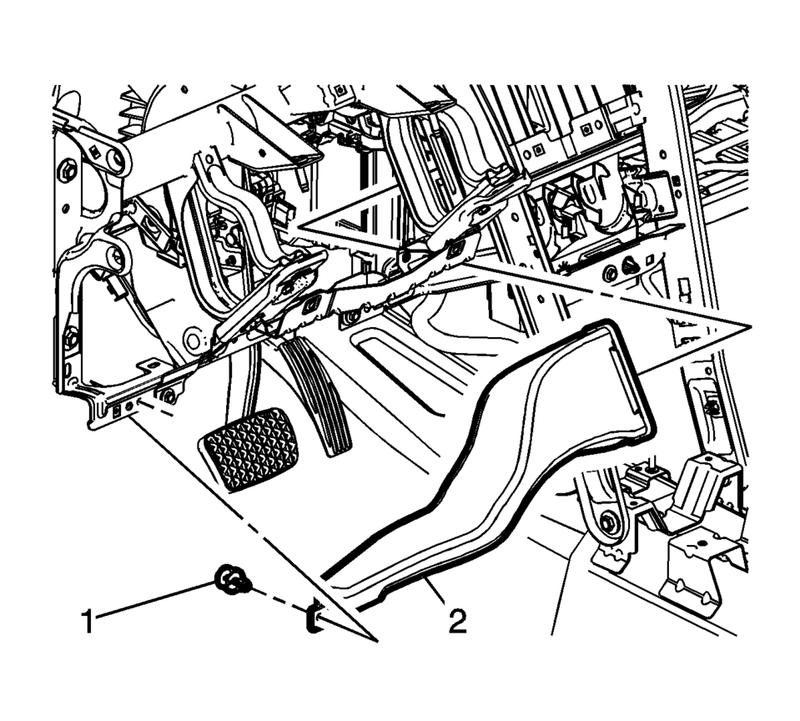 Tighten the instrument panel tie bar assembly to the brake pedal bracket bolts to 9Y?€‰(80?€‰lb?€‰in). Tighten the instrument panel tie bar assembly to the cowl panel nut to 22Y?€‰(16?€‰lb?€‰ft). Install the left floor air outlet duct?€‰(2) into the vehicle. 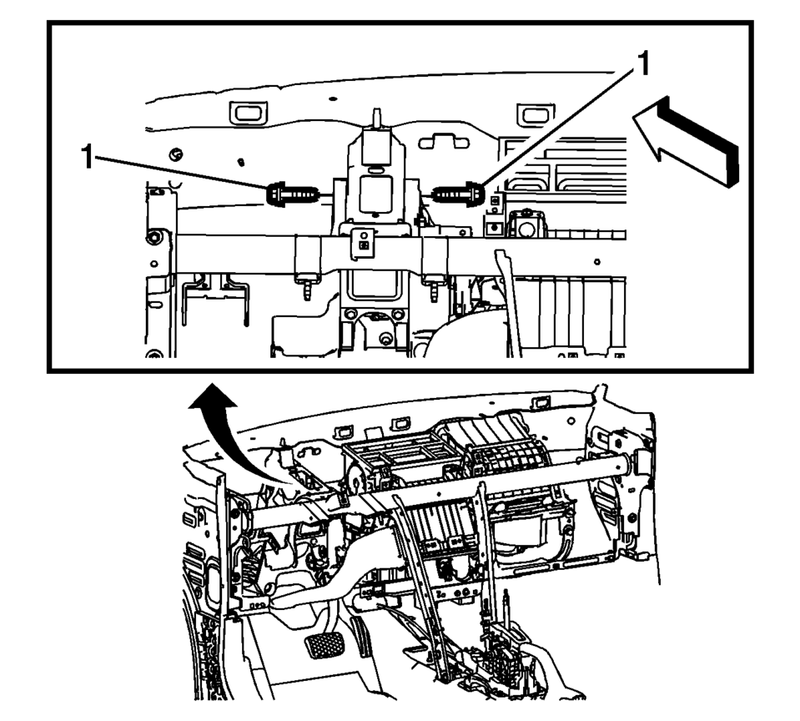 Install the push-pin fastener?€‰(1) securing the left floor air outlet duct?€‰(2) to the instrument panel tie bar assembly. Snap the instrument panel fuse block?€‰(1) onto the instrument panel tie bar assembly.